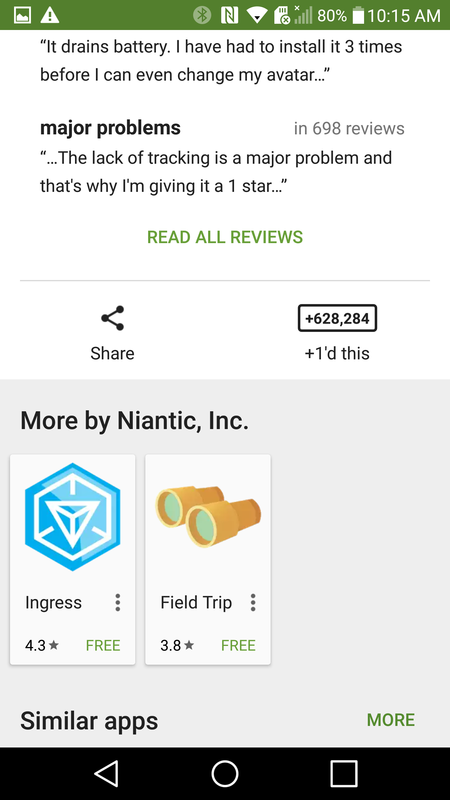 It seems that two features of the Google Play Store app, the "People" area and the "+1" option on app listings, are disappearing. At this time, I've personally checked five of my devices, and only one which hadn't been powered on in months still had them. 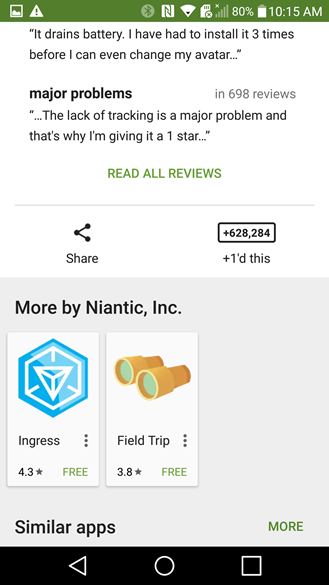 There is a chance this is a bug or some kind of unforeseen consequence of Google making another change to the Play Store, but it seems much more likely that the removal of these features is completely intentional. Google+ doesn't get much love these days, and Google has dramatically reduced the prominence of it in its various other products, rebranded the "Sign in with Google+" button as just Google, and started to pivot the platform as a whole into more of a meeting place for interest-driven communities rather than a "social network." In light of that, killing off the more social-network-y features of the platform in connected products is only logical. 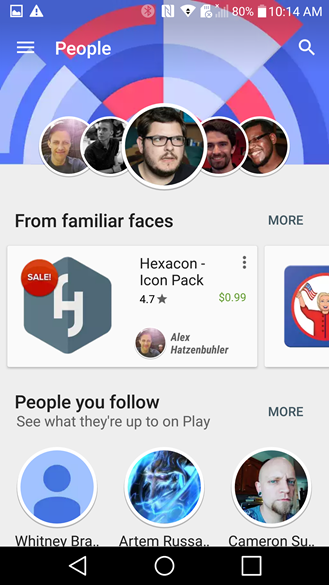 The "People" area, if you weren't someone who used it, was introduced in early 2014, and allowed you to see apps and Play content "plussed" or shared by those in your Google+ circles. It was a neat idea - social sharing of good apps and other stuff, ostensibly from sources you'd be more likely to trust, like a sort of community-driven, personal curation system. But the feature wasn't terribly well-conceived, at least in my opinion, and never really evolved into anything but a difficult-to-navigate dumping ground of random stuff people you follow have sort of recommended. The +1 button is pretty self-explanatory: you could "+1" apps. The button sat next to the share function, and showed you how many people had plussed a given listing. It really wasn't very useful (to everyone except Artem, since he used it to keep track of which apps he'd seen before). As Google+ has fallen out of favor in the larger scheme of things at Google, continuing to integrate functionality for a social network that really never fully took off admittedly doesn't make much sense. The changes don't seem tied to any particular Play Store or Play Services update, though it's possible that the server side "switch" may be indirectly triggered when the Play Store app does get updated - we really aren't sure.